It’s that time of year when baseball seems to take over every television for 7 nigh ts of the week -if each team is lucky. The World Series is one of the most watched events of the year and this year is no different with both the Dodgers and Astros fighting for the pennant. But why are we talking about baseball? Well the management of a sports team, any sports team really, is not that different from the management of contact center agents. Remember the Oakland A’s—the major league baseball team that inspired the book Moneyball? They integrated big data analytics into their team strategy and it changed the game as we know it. By leveraging available data, the team manager was able to assess specific players’ values and performances to assemble power-packed lineups for each game. The end result: one of the most influential strategies to hit professional baseball. Back to contact centers… When contact center managers implement comprehensive data analysis solutions—such as a best-in-class software-as-a-service (SaaS) system—they can assess and evaluate their own “team players” with the same effectiveness as the Oakland A’s. Equipping contact centers with the tools they need is essential. The right technology can provide actionable data for the purpose of addressing universal internal problems as well as agent-specific issues. 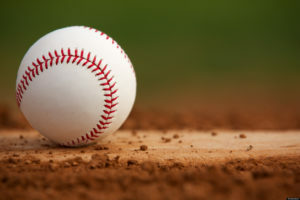 Migrating your contact center to the cloud could help you hit a home run. 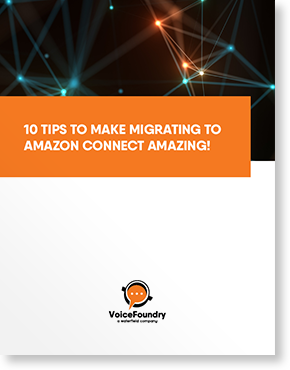 Voice Foundry knows that no two journeys are the same and migrating to a cloud solution is no different. However, we have found through many customer engagements that there are also many similarities that exist. We have taken those challenges and similarities and built our methodology to make the migration a smooth journey. Often customers grapple with the same questions time and time again—How do I create a plan to migrate my contact center to the cloud? How can we easily make the move to the newly launched Amazon Connect solution? What applications do I need to eliminate, enhance, or simply redo? Hasn’t technology changed enough by now that we can finally do some cool things with our customer service interfaces?